TAKE CONTROL OF THE TRAIL WITH THIS FUN NEW HARDTAIL E-BIKE. NOW YOU CAN CLIMB WITH GREATER EASE AND COMFORT, AND RIDE FURTHER—THE PERFECT FORMULA FOR AN ENJOYABLE DAY ON THE TRAIL. 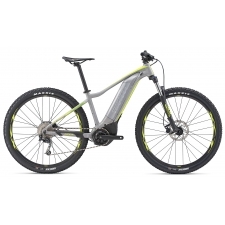 The Fathom E+ is a great choice for XC and singletrack terrain. A lightweight ALUXX SL aluminum frame and trail-friendly geometry will help you experience trail riding like never before. The SyncDrive Sport motor delivers smooth, instantaneous power to conquer hills and technical trails. With a 120mm front suspension fork and the superior all-round performance of 27.5 wheels and tubeless tires, it offers smooth control and confidence. The side-release EnergyPak is integrated into the frame and can be easily removed for charging. And you can control all your settings with the clean, easy-to-use RideControl ONE setup. 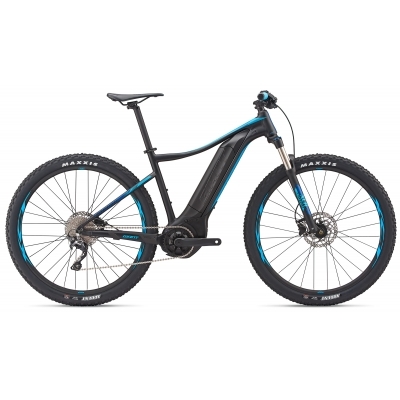 Buy your Giant Fathom E+ 2 Electric Mountain Bike 2019 from Revel Outdoors.